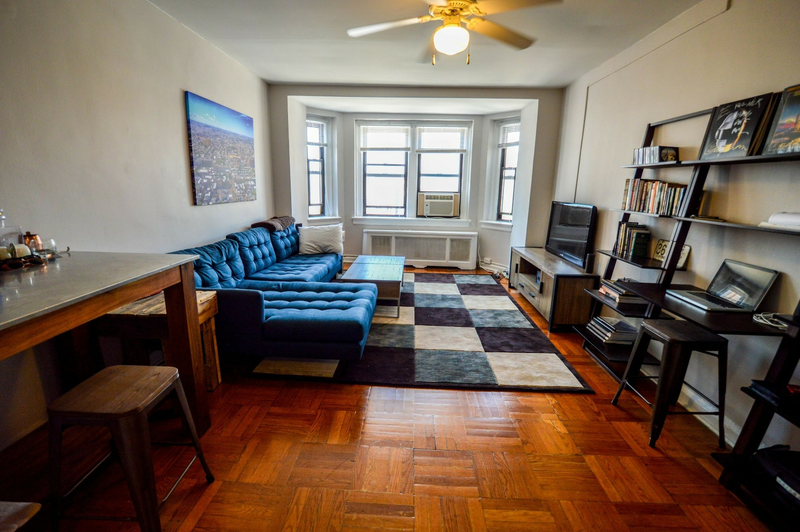 What does $1,200 rent you in Rittenhouse? According to Walk Score, this Philadelphia neighborhood has excellent walkability, is easy to get around on a bicycle and is a haven for transit riders. Data from rental site Zumper shows that the median rent for a one bedroom in Rittenhouse is currently hovering around $1,595. Listed at $1,195/month, this one-bedroom, one-bathroom apartment is located at 326 S. 16th St.
Building amenities include shared outdoor space and extra storage space. In the unit, look for ceiling fans, hardwood floors, stainless steel appliances, granite countertops, wooden cabinetry and closet space. Animal lovers, rejoice: both cats and dogs are welcome. Next, there's this studio apartment located at 2017 Spruce St. It's also listed for $1,195/month. Apartment amenities include tile floors, stainless steel appliances, granite countertops, wooden cabinetry, a walk-in closet and built-in storage features. Both cats and dogs are welcome. Here's a 550-square-foot studio apartment at 271 S. 15th St. that's going for $1,185/month. When it comes to building amenities, anticipate on-site laundry, an elevator, secured entry and on-site management. In the unit, there are hardwood and tile floors, high ceilings, ceiling fans, white appliances, wooden cabinetry and large windows. Hairball alert: cats are permitted; sorry, no dogs.